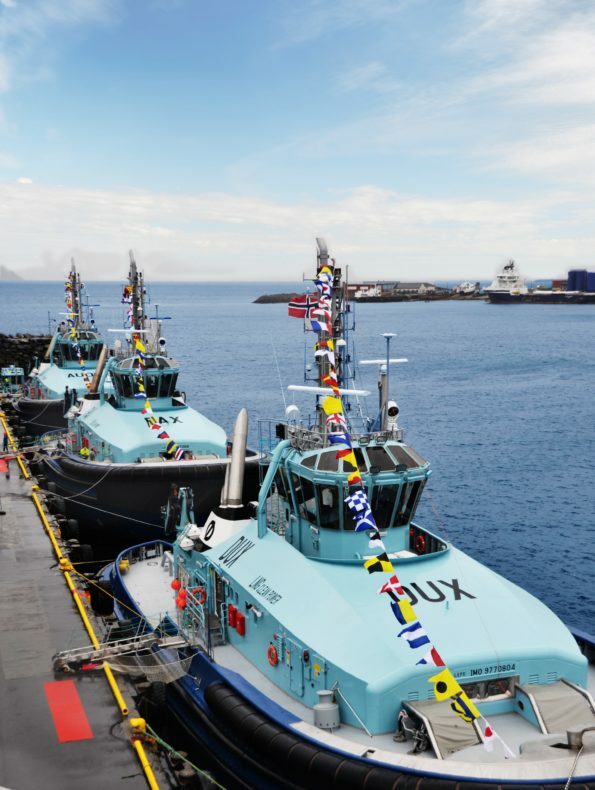 On Saturday, the 26th of August Østensjø Rederi’s three new tug boats were given their name under a naming ceremony in Hammerfest. The triple naming ceremony happened at the same time as Statoil’s 10-year mark of the production at Melkøya. Melkøya is a facility that receives and processes natural gas from the Snøhvit field in the Barents Sea, where “Audax”, “Dux” and “Pax”, accompanied by two mooring boats, are working for Statoil to assist LNG-tankers during arrival and departure.